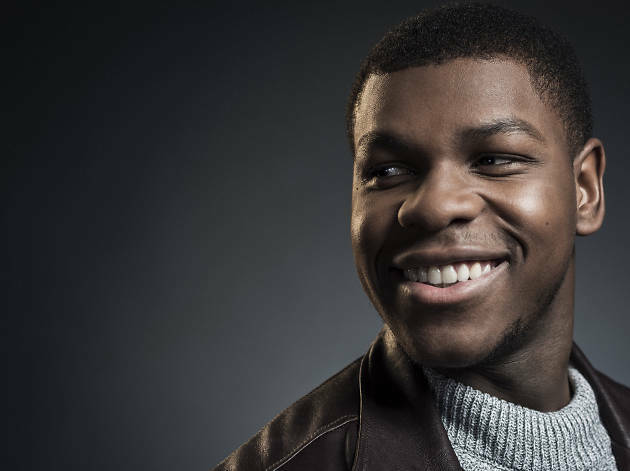 Superstardom hasn’t gone to John Boyega’s head. 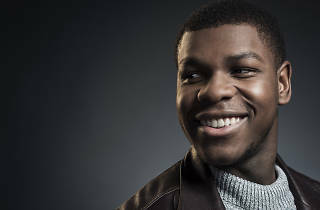 The 26-year-old south Londoner has gone from hungry wannabe to a key part of the world’s biggest movie franchise, Star Wars, and can now get his own projects greenlit via his production company, UpperRoom. But instead of splurging on himself, he’s treated his parents. “I wasn’t trying to give anyone a heart attack,” he laughs of their surprise gift, “but I had to make it really cool for them.” He did. It was a house. You spend a lot of the film piloting a Jaeger, an enormous fighting robot. Talk me through the logistics. It’s fantastic. We built a robot head on top of hydraulics, so the actors can feel the force of any hits or punches. We had sparks that went off. Did it feel like playing a video game? Yeah, man. You’re like, there’s some Tron stuff going on here. But we were knackered by the end of the day. Then I was off to a meeting. [As a producer] you’re tuned in constantly. You set up your production company three years ago. What’s the story behind it? I’ve always wanted to develop my own content. In Hollywood we need to see original stories with interesting perspectives right now. Are there London-based stories you’d like to tell? Definitely. I’m working on one now, with a director called Sebastian Thiel. It’s part of our childhoods spat out on to the page. I’m not starring in that so it’ll be a different experience. You’ve had your big break. You must be able to relax a little bit? There’s no such thing as “you’ve made it”. You could relax, [but] that’s not my way of doing things. I’m trying to get to know sleep again. We’re at a complicated stage in our relationship! You still live in south London. Can you imagine calling anywhere else home? Spending time in Nigeria would be good. But, nah, nowhere apart from Nigeria and London. Can you still take the tube around London? At 17 I decided I didn’t like public transport. Specifically, the bus. When it’s raining and the windows are all steamy and someone sneezes... I got a little Vauxhall Corsa for getting around. The Star Wars universe is a big deal. How did you get your head around your connection to it? It is what it is. When you’re actually there, it’s much more grounded. I just feel like I’m part of something. It makes me happy. 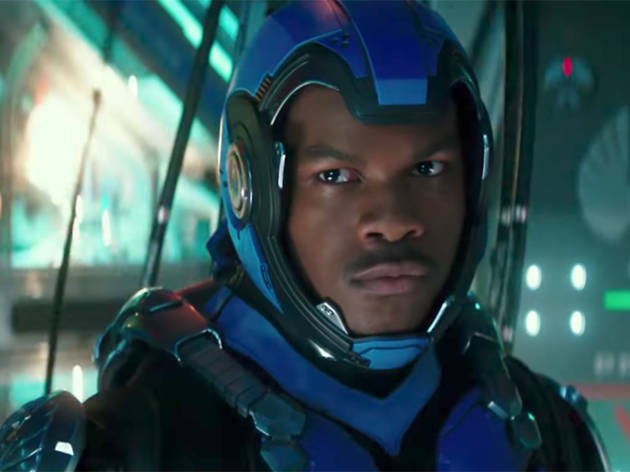 When do you find out what the future holds for Finn in Episode IX? I haven’t read the script. When I do I’ll know it all. It’s cool [knowing before everyone else]. People don’t even ask me about it. They want to be shocked and surprised. Do you keep in touch with the cast when you’re not filming? Yeah. Especially Daisy [Ridley] and Peter [Mayhew]. We had a WhatsApp group until Oscar [Isaac] and Joonas [Suotamo, the new Chewbacca] changed their numbers. You took Harrison Ford out for dinner in London. Are the cast always asking you for local tips? Yeah. I like people to experience true London. You take them to the places where they can be with people and feel the energy. 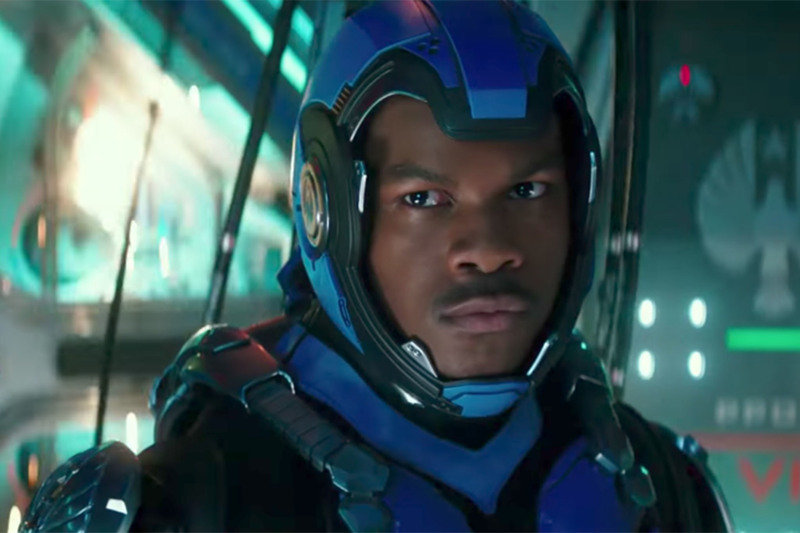 Pacific Rim Uprising is in cinemas this Thursday. Giant robots and equally giant monsters go head to head again. TV veteran Steven S DeKnight takes over from director Guillermo del Toro and proves a more-than-capable replacement.